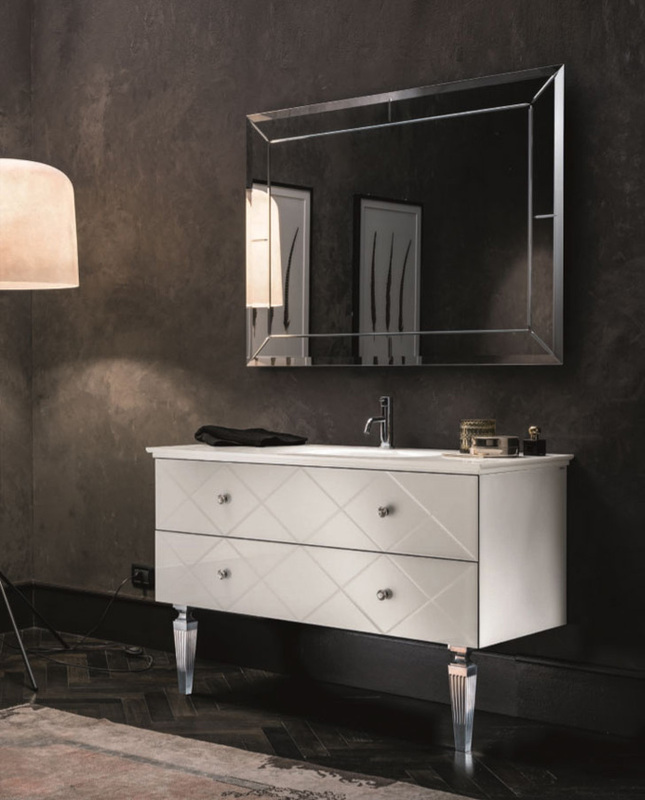 A classic style meets modern richness in Artelinea’s Decor range. 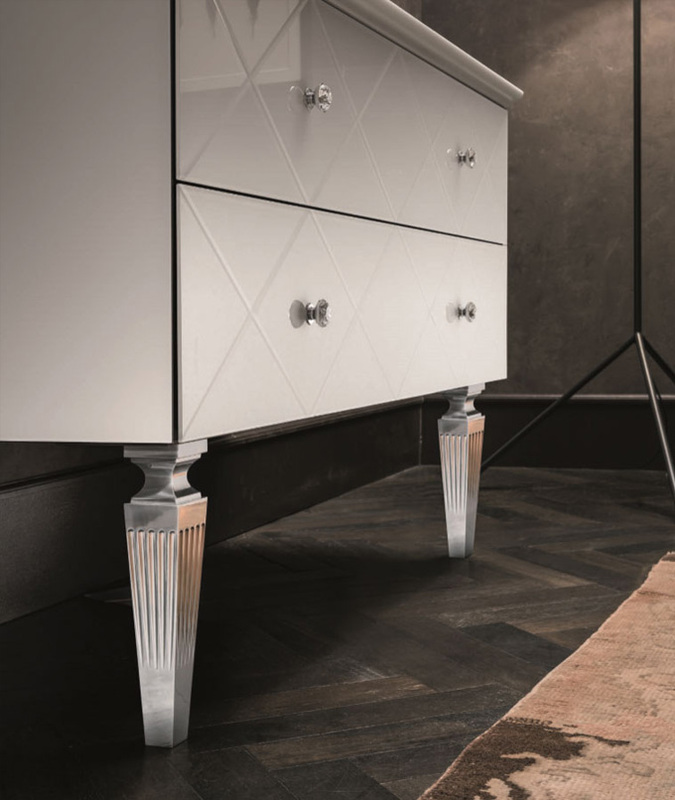 The attention to detail with a mixture of straight lines, bevelled edges and refined curves that shape the legs of the piece. 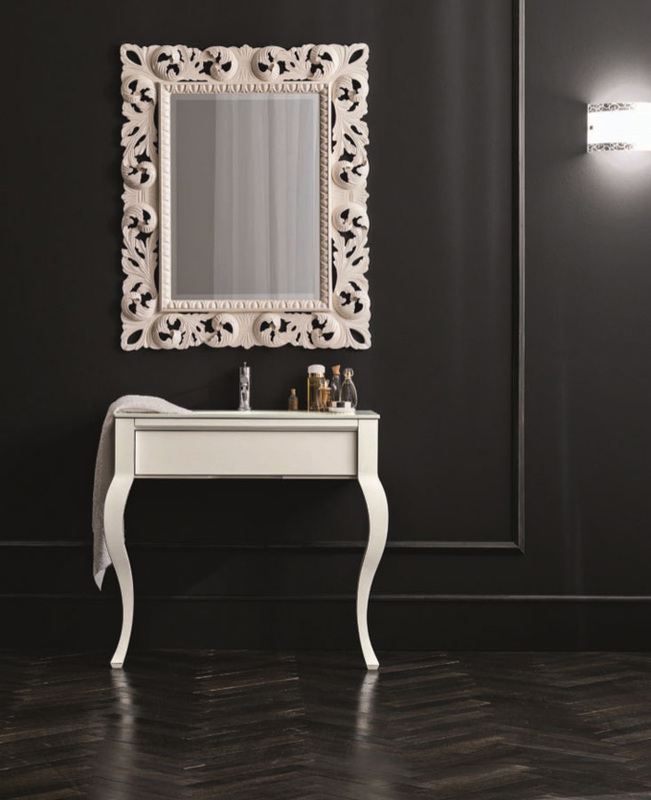 A dash of classical glamour adorns the front of this vanity unit in the form of clear, sparkling drawer handles, a beautiful complement to the styling, whether you opt for black or white. The slim diamond embellishments to the front of the unit add a sophisticated air to the collection, adding texture and movement to the space. Artelinea have successfully channelled a classic style to work in modern homes, turning the bathroom into a real feature room that truly makes an impact on every visitor. The lavish style of these units means the everyday practicality is transformed into something far more exquisite and enjoyable. The stunning, rich style alongside the practical storage space and sink creates a true feeling of luxury. The high end Italian design and manufacture provides reassuring strength and durability to the products. In the architectural design world, the delight of the clean lines within the classic decor range works beautifully for new builds and luxury private client projects. Concept specialises in the design of luxury bathrooms, creating an exquisite space that is both functional and breathtaking. We work with leading architects on projects at a very early stage – often before a single brick has even been laid. This allows us to optimise the space available, advising on the best wall and door positions to create a truly stunning space. This entry was posted in Luxury Bathrooms and tagged Artelinea vanity units, bathroom designers ascot, bathroom designers Beaconsfield, bathroom designers Gerrards Cross, bathroom designers Henley, bathroom designers maidenhead, bathroom designers Marlow, Bathroom designers Oxshott, bathroom designers virginia water, Bathroom designers Weybridge, Classic Decor Style Vanity Units, Classic style vanity units, luxury bathroom design, luxury bathrooms, luxury vanity units, vanity units. Bookmark the permalink.